Today I’m excited to share my review of the final installment of the Pastime Pursuits series written by Tracy Krimmer. Her novel Sparing the Heart was published today. Happy Release Day Tracy!! Read my review below and get yourself a copy of the novel. Don’t forget to check out the first two novels from the Pastime Pursuits series if you missed them. I’ve also included a link to enter Tracy’s release day giveaway, so make sure you enter before she picks a winner this Saturday! Book Blurb: Realtor and amateur bowler Kate Hayes is the ultimate fixer-upper at this stage in her life. Grieving the death of her father, she moves to a brand new town for a fresh frame. She quickly realizes, however, that location isn’t everything she’s always preached to her clients when she finds herself falling into the same bad habits. To break the cycle, she joins a local bowling league and meets handsome – but taken – meteorologist Kellan Valentine. Will their friendship lead to sunny skies or it is another forecast for disaster? Kate Hayes is a dedicated realtor that has recently decided to take up a childhood pastime despite the recent cloud of grief that she’s been walking around in after the loss of her parents. Her therapist suggested she find a non-work related hobby to fill her life with some fun and meaning and Kate decides to take the suggestion and run with it. Kate decides to spread her wings because the last six months have been filled with nothing but work. With the suggestion of her therapist, she realizes that she needs to expand her horizons and do something more with her life than just be a workaholic. After forcing herself to step out of her comfort zone and try to make new friends, Kate is enjoying the new relationships she’s made and she enjoys rediscovering a passion that she had set aside during her time of grief. The events that take place in this novel are a mixture of fun, frustrating and downright hilarious! I loved that Kate used adult coloring books to de-stress and I thoroughly enjoyed reading about all of the relationships and friendships that blossomed and progressed throughout the story. Do I even need to spell it out that l loved this novel?! Sparing the Heart left me with feelings of love and happiness and I can barely tell you how much I loved Kate and Kellan’s story! It was a charming story about love and life and following your own path to make your own destiny. Sometimes you find friendship in the most unexpected places and sometimes love creeps in, no matter how hard you try to fight it. I’m sad that this is the last novel in the pastime pursuits series, but I’m looking forward to seeing what’s up next from Tracy. Tracy’s writing is top-notch and I can’t wait to see what she whips up next! She definitely threw a strike by writing this novel! 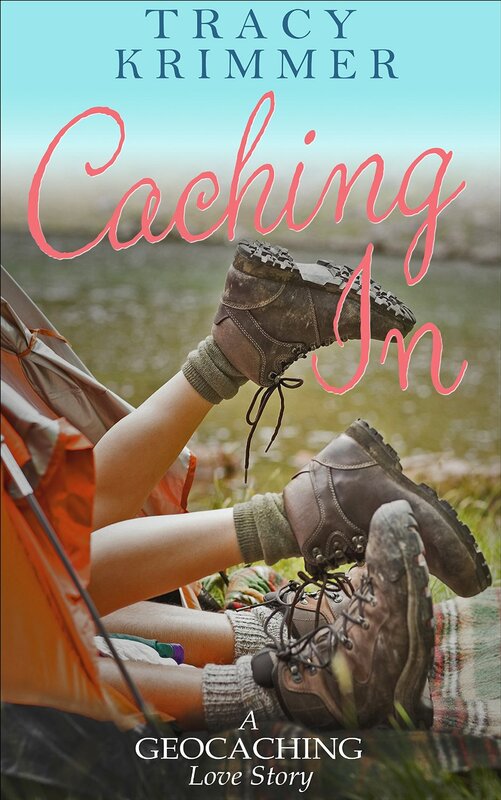 Check out my review of Tracy’s other novels in the Pastime Pursuits series and a fun interview that Tracy participated in! Blurb: Can a compass lead you to love? Blurb: Chelsea Wyatt, a single mom trying to build a life for her and her son, is sick of the body she sees in the mirror. A daily diet of Cookie Crisp cereal is not doing wonders for her mood or her figure, and it’s time for a change. Setting out to get fit, she commits herself to a daily walking plan, forcing herself to give up her all-sugar and carb diet, a difficult task at her donut obsessed job.